In the wake of the St. Louis County grand jury decision not to indict police officer Darren Wilson in the shooting death of Michael Brown, the central tragedy of the case—the death of a young man—has often gone overlooked as the violence and the unrest and the politics have taken center stage. Where Brown’s father had called for peaceful protest in the days leading up to the decision, his stepfather, the man in green and white who eventually steps into the frame, clearly does not. He leads the calls for violence and begins building anger in the crowd. In the moments before Brown’s mother is led away through the chaos, we may just be witnessing this demonstration’s turn from peaceful to destructive. CLICK ON LINK TO VIDEO…. Facebook and Google are now TRYING to sabotage me! “Ideally, I would like to see the 21-to-35 year-old taking a four-pack of these to a barbecue,” Joe Hodas, chief marketing director for the marijuana product manufacturer Dixie, said earlier this year of the company’s new watermelon cream-flavored "elixir," Dixie One. The drink contains five milligrams of THC — just enough to produce a subtle buzz. Since starting in 2010, Colorado-based Dixie has developed a wide array of marijuana products, from THC-infused chocolates to concentrated cannabis for e-cigarettes. Many of its offerings are aimed at experienced marijuana users with high tolerances — the company’s top seller is a line of elixirs containing 75 milligrams of THC. Lower-dose products are proving increasingly popular, however. At the moment, the recreational cannabis industry is limited to Colorado, Washington, Alaska and Oregon. Marijuana advocates and business owners say it’s only a matter of time before more states follow, bringing cannabis products like Dixie One to store shelves and backyard barbecues across America. More than 20 states and the District of Columbia have legalized medical marijuana, and this month voters in Washington, D.C., approved a referendum to legalize recreational use in the nation’s capital. State laws in Colorado and Washington already require a “serving” of THC in an edible marijuana product to be limited to 10 milligrams — about the amount in a medium-sized joint. (The rules in Alaska and Oregon have not yet been set.) Some products, such as candy bars, may contain multiple servings, however, and package labels do not always include serving size or dosage information. “I think the idea of being proactive with our messaging — being safe and responsible with our messaging — we’re trying to do that now early on, versus being told to do that after the fact,” Hodas said. Still, getting the message — and brands — in front of the public has been a challenge for marijuana companies. State laws ban advertisements on television or billboards that directly market marijuana products. Google, Facebook and Twitter refuse to accept marijuana advertising on their websites. BOSTON — Emboldened by victories in other states and recent polls showing widespread support, advocates of legalized marijuana are preparing to put the question to Massachusetts voters in 2016. Supporters of legalization say they are drafting legislation to allow recreational pot cultivation and use, with a tax similar to those for alcohol and tobacco, for consideration in the legislative session that starts in January. They’ll also prepare a ballot question for the 2016 elections in case lawmakers fail to act. It seems unlikely the Legislature will sign off, given the track record of previous efforts. A bill to allow adults to grow marijuana while establishing a tax on retail sales failed to gain much support in the current session. Still, Evans said he believes public opinion on marijuana use is turning, citing an easing of state laws and the approval of recreational use in Colorado, Washington and, more recently, Oregon, Alaska and Washington, D.C. In 2008, Massachusetts voters decriminalized the possession of up to an ounce of marijuana, replacing jail time with a $100 fine. Four years later, voters approved the cultivation and use of medical marijuana. Both initiatives passed by more than 60 percent. 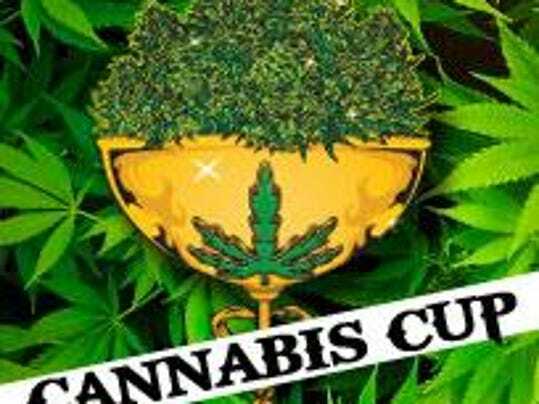 “It’s no longer a question of whether it will be legalized in the state, but when and how,” Evans said. Opponents argue that recreational pot use should remain illegal, especially given the danger it poses to youth. Two private companies announced they will pursue their plans of asteroid mining. 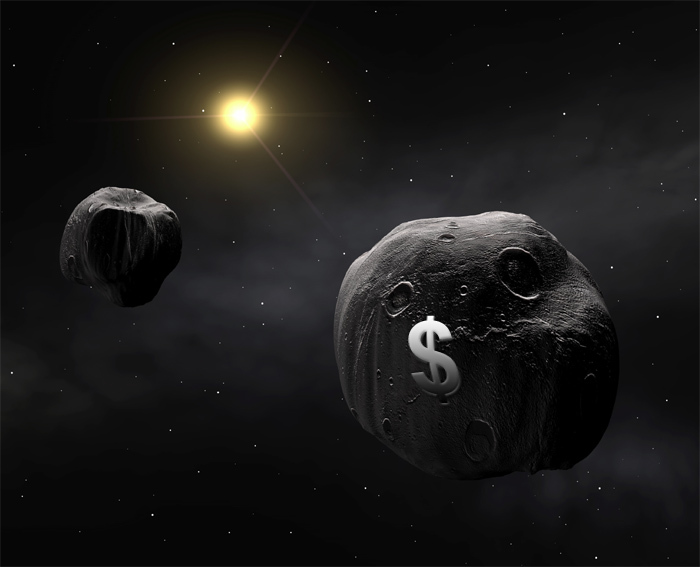 Deep Space Industries and Planetary Resources received contracts from NASA to study asteroid redirection. The U.S. company in Washington State, Planetary Resources will launch two satellites to analyze the design and systems of their telescopes based in outer space. The satellites are called Arkyd 6 and Arkyd 3. The plans of the Planetary Resources company is to build a number of middle size and small telescopes capable of examining asteroids near the planet Earth for economic potential. Among the company’s telescopes are the Arkyd 300, Arkyd 200 and the Arkyd 100. The Arkyd 300 will have propulsion systems capable of allowing it to explore beyond planet Earth and the Moon. The Arkyd 200 is an interceptor, and will have its propulsion systems capable of discovering asteroids between the Moon and the Earth. And Arkyd 100 will be a low orbit telescope of Earth capable of analyzing both the Earth and asteroid targets. Deep Space Industries is planning to construct a number of dense spacecrafts called FireFlies. Deep Space Industries is planning to send the satellites on one way missions to gather information about the density, shape, composition and size of asteroids. They also have a plan that includes building “Dragonfly”. Dragonfly is a spacecraft that will catch asteroids and the asteroid material of the asteroids will be collected and returned to Earth by “Harvesters”. NASA launched numerous studies on the asteroid mining potential that are part of NASA’s Early Stage Innovations and Innovative Advanced Concepts directives. Probably Platinum metals and water are the most profitable potential for operations of asteroid mining, the Robotic Asteroid Prospector study discovered. NASA also presented some early designs for the extraction of water. OSIRIS-REx, a NASA spacecraft is design to study the “Bennu” asteroid. The “Bennu” asteroid is close to Earth and the primary goal is to land the spacecraft on the asteroid and gather and return data to earth. The OSIRIS-REx is scheduled in September 2016 for launch. For the past years NASA has been studying robotic mining and runs an annual competition where students from universities compete in building robots capable of asteroid mining. On the other side of this, though, it also appears that an increase in crop production has also altered the ecology of the planet, as crops absorb CO2 in the plant respiration process of photosynthesis, during the summer, and then release the CO2 they have stored when they die in the winter. This introduction of winter CO2 affects the global season changes. Two studies have been conducted to learn more about this phenomenon. it is both good and bad that both of these studies basically reach exactly the same conclusion. That’s because the regulation of marijuana — as seen in programs currently in place in Colorado and Washington state, as well as those that will soon go into effect in Oregon, Alaska and Washington, D.C. — remains illegal under the 1970 Controlled Substances Act. The states that have legalized marijuana have only been able to do so because of federal guidance urging federal prosecutors to refrain from targeting state-legal marijuana operations. That guidance could be reversed when a new administration enters the White House. Blumenauer is just one of a number of lawmakers from both parties who have worked toward that end. About a dozen bills were introduced in 2013, several by Blumenauer himself, aimed at limiting the federal government’s ability to interfere with states’ legal marijuana programs. Last year, Rep. Jared Polis (D-Colo.) introduced the Ending Federal Marijuana Prohibition Act, which would direct the U.S. Attorney General to issue an order that removes marijuana in any form from all schedules of controlled substances under the Controlled Substances Act. If passed, Polis’ measure would effectively end the federal government’s prohibition of marijuana. And while Congress has failed to pass any of those bills, attitudes are still changing rapidly on marijuana policy. Ethan Nadelmann, executive director of the Drug Policy Alliance, said he remains cautiously optimistic about marijuana legalization being here to stay, despite Congress’ tendency to move slowly on controversial social issues like this. "It’s all political," Nadelmann told HuffPost in an email. "Of course it’s possible that the next president could decide to crack down on the states that have legalized marijuana but that prospect becomes ever less likely with every passing day." "Diverse sectors of society are developing a stake in marijuana remaining legal," he continued. "Taxpayers and tax collectors enjoy the revenue. Cost cutters appreciate the savings from no longer arresting so many people for marijuana. Unions welcome the new legal jobs. Businessmen, including many who vote Republican, relish the actual and potential profits." In a similar vein, Blumenauer himself has predicted that before the end of the decade, the federal government will legalize weed. Federal authorities have already allowed Colorado’s and Washington’s historic marijuana laws to take effect, and earlier this year, President Barack Obama signed the 2014 farm bill, which legalized industrial hemp production for research purposes in the states that permit it. The first hemp crops in U.S. soil in decades are already growing. Moreover, in May, the Republican-controlled House of Representatives passed bipartisan measures aimed at limiting Drug Enforcement Administration crackdowns on state-legal medical marijuana shops, and at preventing the agency from interfering in states’ legal hemp programs. Even in gridlocked Washington, the Democratic White House and the Republican-heavy Congress have been able to see eye-to-eye over how criminal justice and drug policy reform will be implemented in the next two years. So what do some of the likely 2016 presidential candidates say about marijuana? On the Republican side, according to HuffPost’s Pollster model, the front-runners are former Florida Gov. Jeb Bush, Sen. Rand Paul (Ky.) and former Arkansas Gov. Mike Huckabee. Paul has been supportive of D.C.’s new recreational marijuana law, and he’s also introduced legislation aimed at protecting state-legal medical marijuana operations from federal intervention. nerally supportive comments about keeping the federal government out of state marijuana laws. On the Democratic side, the current front-runners are former Secretary of State Hillary Clinton, Vice President Joe Biden, and Sen. Elizabeth Warren (Mass.). While Clinton hasn’t offered a full-throated endorsement of marijuana legalization, she has left the door open, saying she supports medical marijuana "for people who are in extreme medical conditions." She’s also said she wants to "wait and see" how recreational pot works out in Colorado and Washington state. Biden has called legalization a "mistake" in the past, but he’s also said that cracking down on marijuana users is a "waste of our resources." Warren has offered some support for medical marijuana legalization, but is opposed to recreational legalization. "For 77 years, the United States has outlawed marijuana, with tragic repercussions and unintended consequences," Miron wrote Wednesday. "The public and their state governments are on track to rectify this terrible policy. Here’s hoping Congress catches up." Read Miron’s entire editorial here.